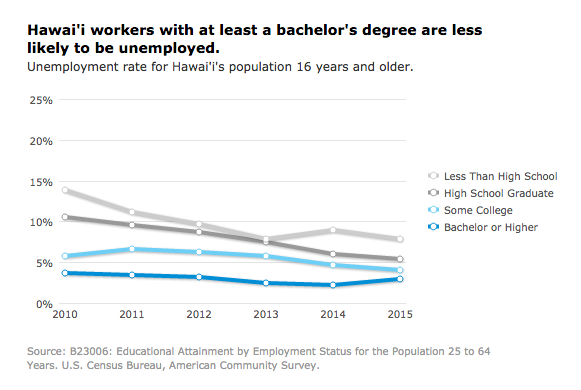 Recent data from the Bureau of Labor Statistics further validates higher earnings and lower unemployment rates for college degree holders. 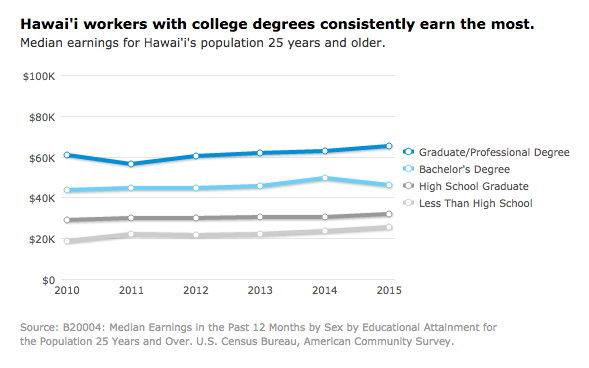 College graduates, on average, earned 56% more than high school graduates in 2015, according to data compiled by the Economic Policy Institute. 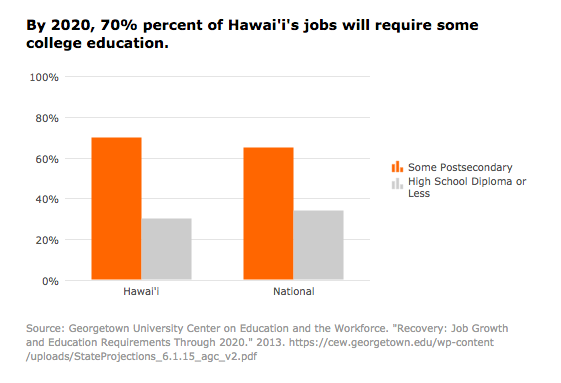 According to the Georgetown University Center on Education and the Workforce, by 2020, 70 percent of jobs in Hawai‘i will require some college. Millennial college graduates ages 25 to 32 who are working full time earn more annually—about $17,500 more than employed young adults holding only a high school diploma. 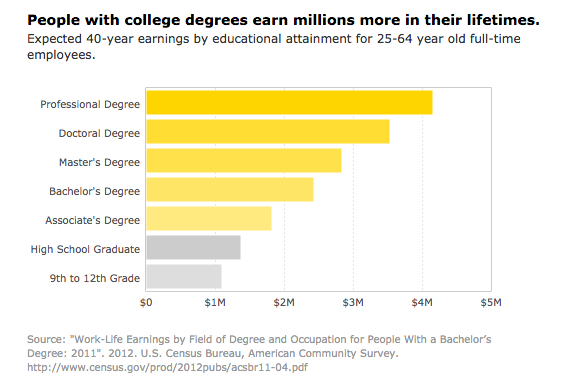 On average, college graduates earn $1 million more over their lifetime than those who don’t graduate. In addition to earning more, college educated Millennials also have lower unemployment and poverty rates than their less-educated peers. They’re also more likely to be married and less likely to be living in their parent’s home. College educated Millennials are more likely to see themselves on a career path, rather than just working at a job to get them by.